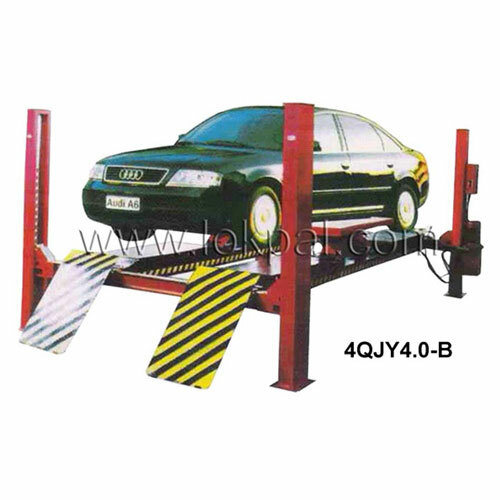 Four Post Car Parking Lift is intended for industrial use. 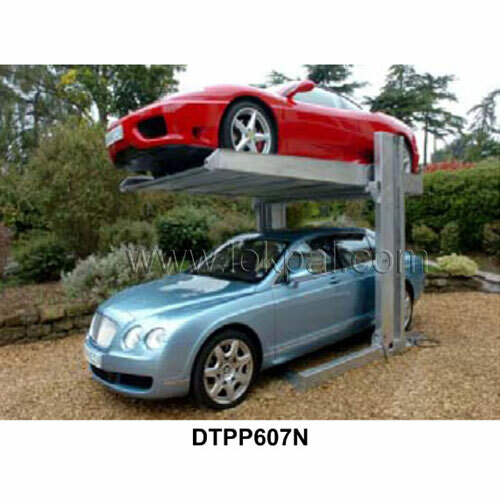 Two Post Car Parking Lift Light is intended for industrial use. Diamond plate runway and ramps for easy to use. 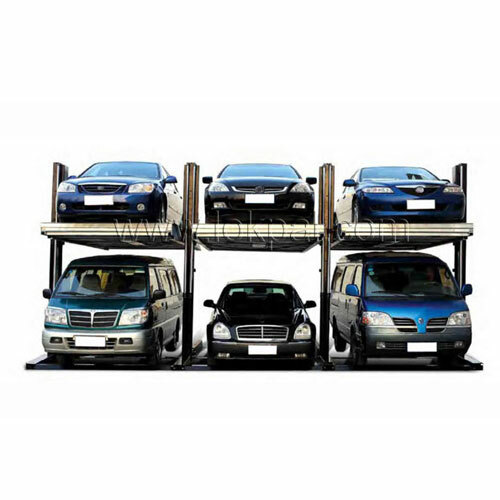 Complete cover under runways to protect your vehicle. 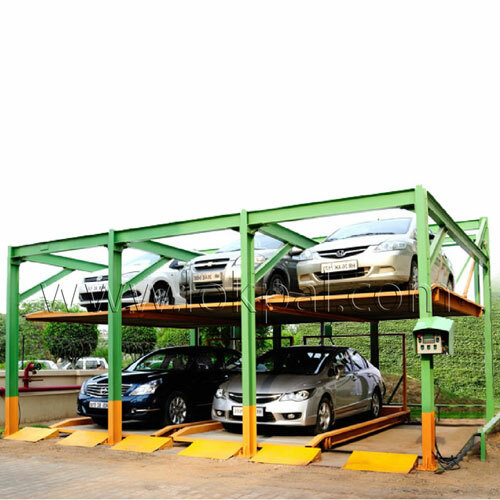 Two Post Car Parking Lift Tilting is intended for industrial use. Two Post Car Parking Coloumn Sharing is intended for industrial use. 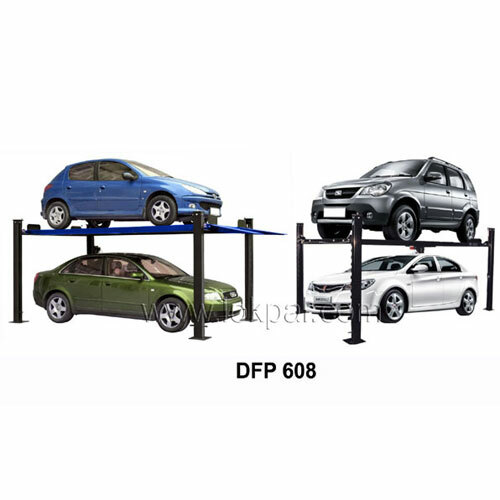 They are engineered to lift motor vehicles for parking purposes but also suitable for car dealers to use as a showcase. 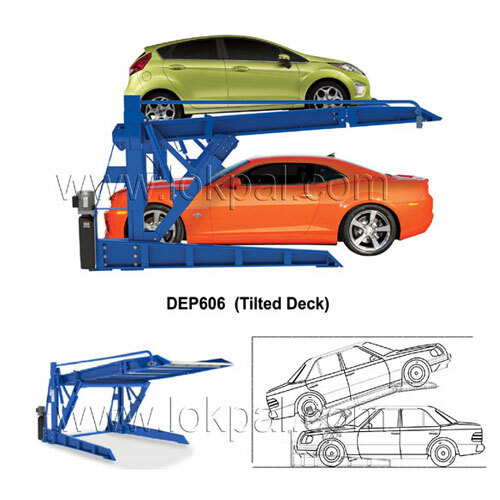 Scissor Parking Lift is intended for industrial use. Puzzle Parking is intended for industrial use. 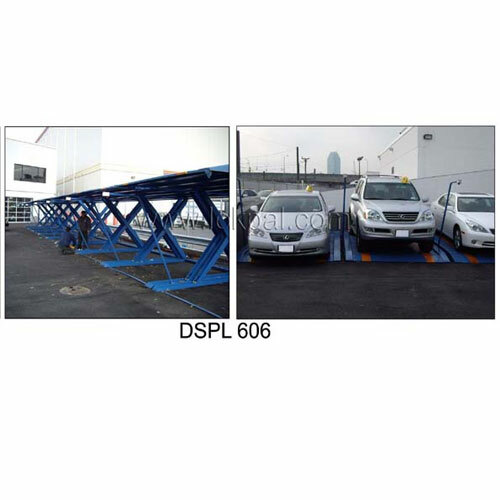 Parking possible in 2 to 6 levels above the ground, underground and combination of both. Low parking and retrieval times – average of 60 to 90 seconds per car. 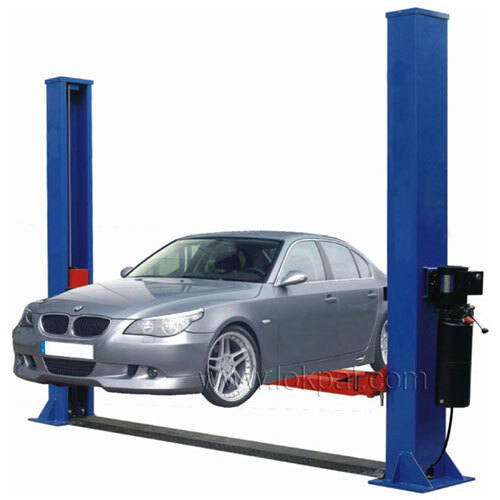 Four Post Car Lift is useful for lifting material from racks. The Machine is fitted with both pneumatic (air hydraulic) and foot pump. Either pump can be selected for lifting.